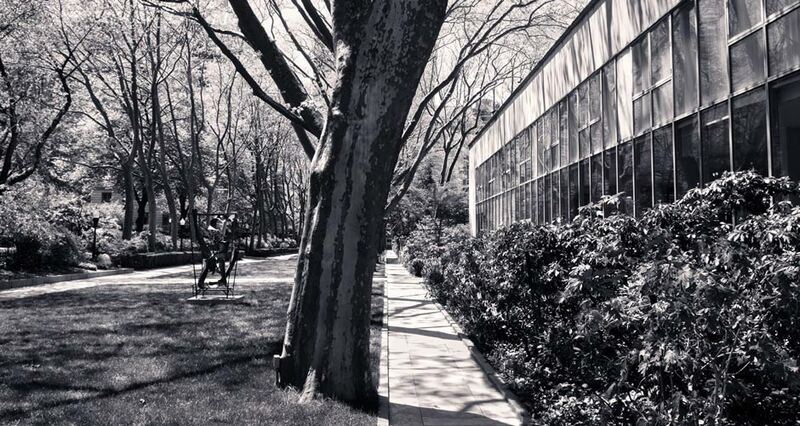 In 1956 Rockefeller University began a plan of expansion and campus development on their 14-acre Manhattan campus. 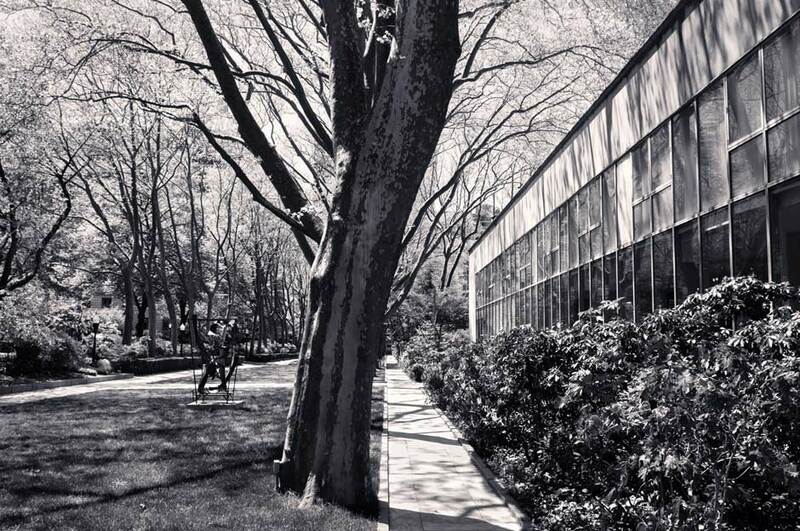 Kiley worked with architect Wallace K. Harrison and then Rockefeller University President Detlev Bronk to create a new master plan and implement other improvements to the historic campus. Finding inspiration in the original Beaux Arts Campus, laid out by Shepley Rutan and Coolidge in the early 1900s, Kiley retained several features of the original plan, incorporating preexisting plantings of majestic London plane trees: an allée lining the main entry drive and a row at the center of campus, into his plan. 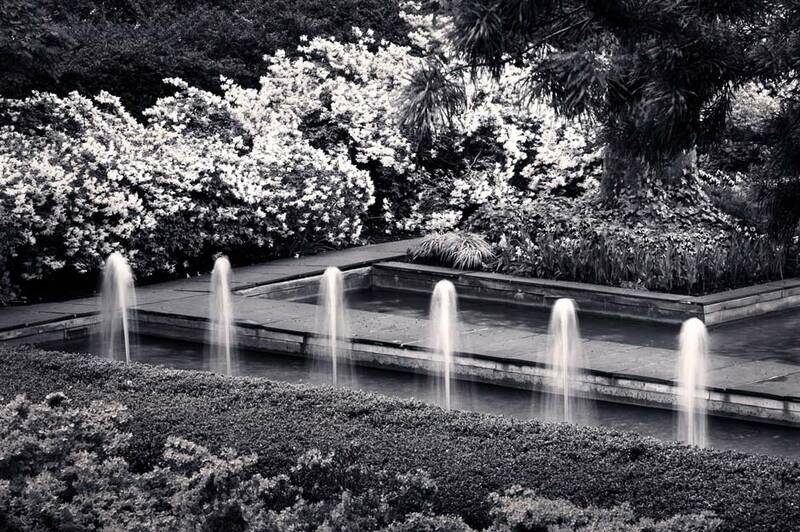 As Kiley says about his design for the campus “As I embarked on the Rockefeller project, it was the precise peristyles of Oxford and the tactility of the gardens within Asian compounds that inspired me. We strove to reinforce the idea of an urban oasis, and as in ancient walled gardens founded upon the notion of paradise on earth, to provide a sensory experience effective enough to envelope visitors.”  The design for the site is laid out upon two levels with most of the University buildings clustered to the east side of the campus, which sits above the western half of the site. 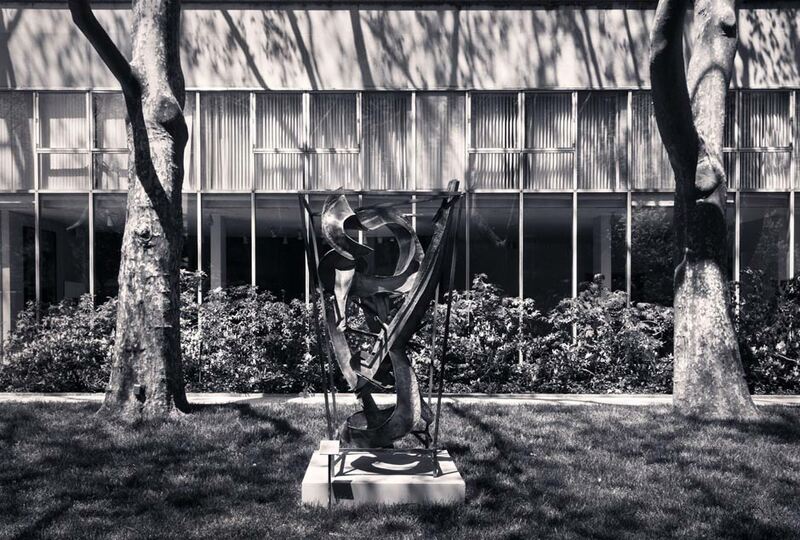 Harrison designed three new Modernist buildings to be located on this terrace, upon which Kiley laid out a central expanse of open lawn running north to south, which serves to anchor his design and provides a critical axis for circulation through the site. This academic promenade is bisected by a marble and granite pathway and edged to the west, by the pre-existing row of London plane trees. The towering trees help to isolate the space from the facades of the adjacent university buildings and provide a forested feel to the urban campus. Along the lawn’s eastern edge, Kiley specified plantings of shrubs (azalea, holly and pieris) and flowering crabapple trees, which help to further the cloistered feel of the campus spine. A series of smaller intimate courtyards connect to the central lawn, providing more intimate spaces for study and gathering. Most significant of these small gardens is the Philosopher’s Garden to the north of the site which is accessed from an expansive cantilevered black-slate terrace on the upper level, from which visitors descend through a series of steps to arrive at the space. 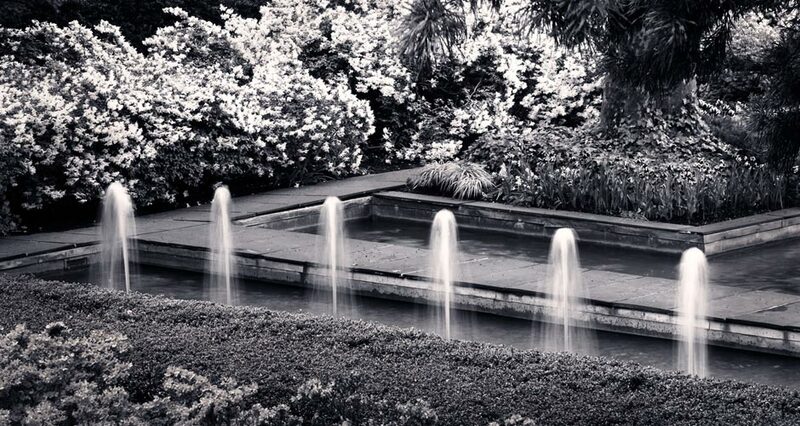 Here a low rectangular pool serves as a central feature, activated by six water jets which run down its center, sending low plumes of water spraying into the air. Kiley’s design specified that plantings for the garden would include European hornbeams set in beds of English ivy. The garden continues to serve as a gathering place, although the hornbeams have since been removed. 1 Kiley, Dan and Jane Amidon, Dan Kiley: The Complete Works of America’s Master Landscape Architect (Boston, New York, London: Little, Brown and Company, 1999), 33. The way I met Dan Kiley reveals the practical, unpretentious manner of this singular individual. It was a job interview on a bench in 30th Street Station, Philadelphia on an October morning in 1960. In northern Vermont, the office was in a large 3 story wood frame house, and included a small boathouse on the edge of Lake Champlain. There, I started work as a landscape architect and split logs to fire the pot-belly stove that heated this office annex. The seeming contradiction of working in such a pastoral landscape to design notable urban projects illuminates one facet of the Kiley mystique. The Rockefeller University Campus in central Manhattan may be the project that best illustrates Dan’s intuitive approach to shaping urban spaces. The University President, Dr. Detlev Bronk, recognizing his rare talent, commissioned Kiley to design the campus landscape. 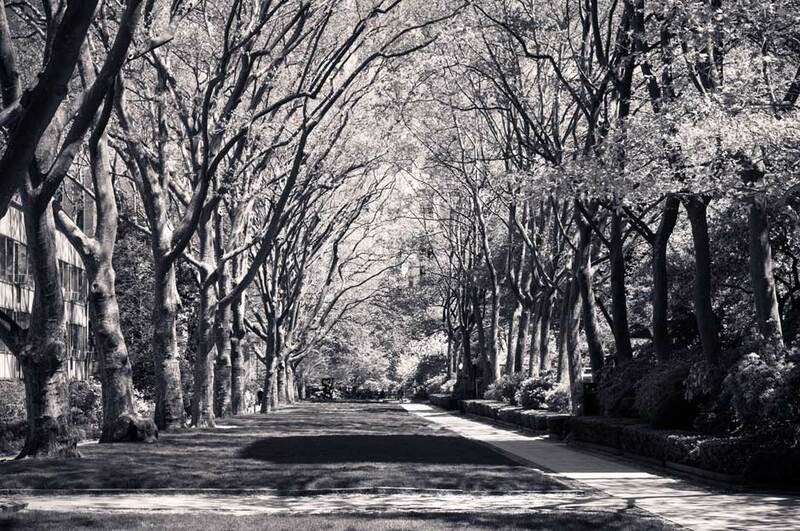 The twelve-acre site was shaded by a continuous canopy of London Plane Trees, installed in the first phase of the planting. 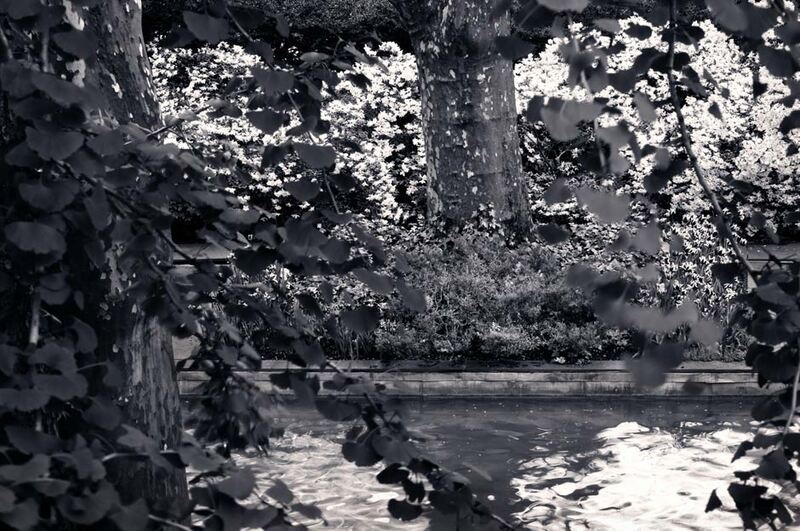 Buildings trees and hedges define individual gardens, enriched with fountains, lower plantings, and stone paving. The distinguishing feature of a Kiley landscape was the use of a limited palette of plant types and inert materials in bold geometric patterns to achieve a coherent restful landscape. The simplicity of such an approach created a kind of materialized poetry in a quiet precinct of a noisy turbulent city. 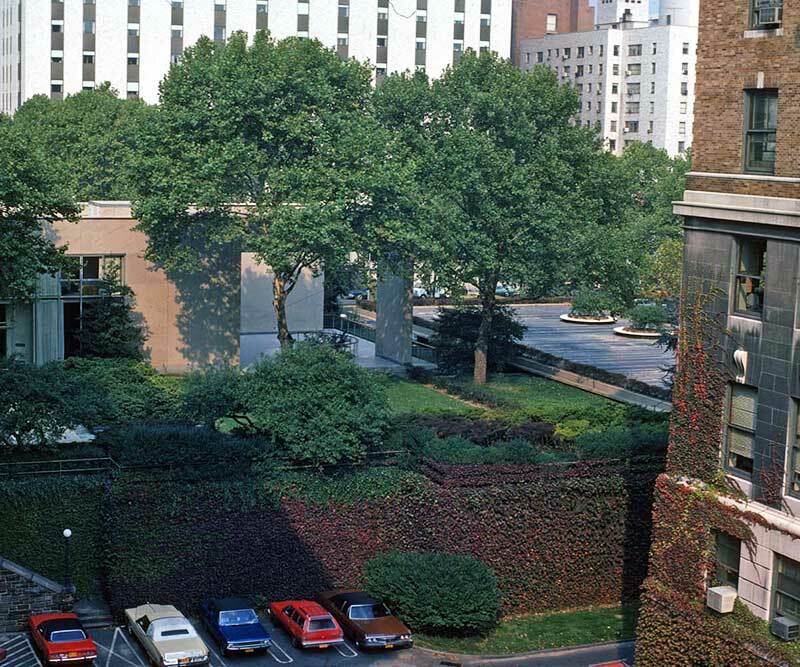 Today Rockefeller University Campus continues to ennoble two blocks of central Manhattan, a tribute to the sagacity and foresight of its creator, Daniel Urban Kiley. The Rockefeller University. 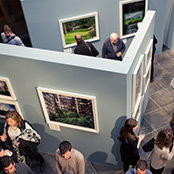 “Campus Grounds,” http://www.rockefeller.edu/about/sustainability/campus/. 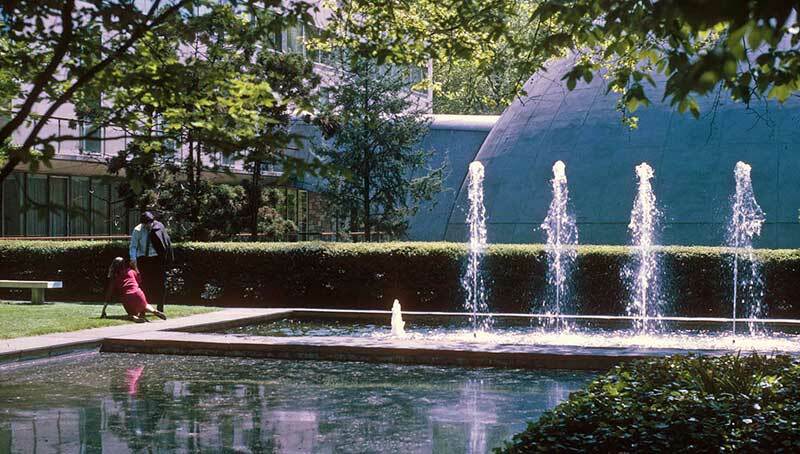 SCAPE / Landscape Architecture PLLC.”Projects: Rockefeller University Master Plan,” http://www.scapestudio.com/projects/rockefeller-university-master-plan/. Landscape Online. “University’s South Campus: A Vortex of Knowledge, Healing and Connection,” http://landscapeonline.com/research/article/5659. Nugent, Kristina. 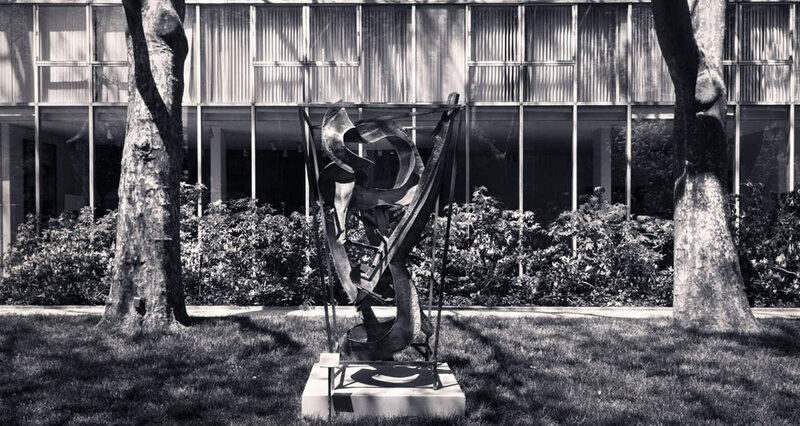 “Rockefeller University Modern Campus Landscape: Daniel Kiley, 1958,” ephemeralurbanity, http://ephemeralurbanity.wordpress.com/2013/04/23/rockefeller-university-modern-campus-landscape-daniel-kiley-1958-kristina-nugent/. Brown, Brenda J. 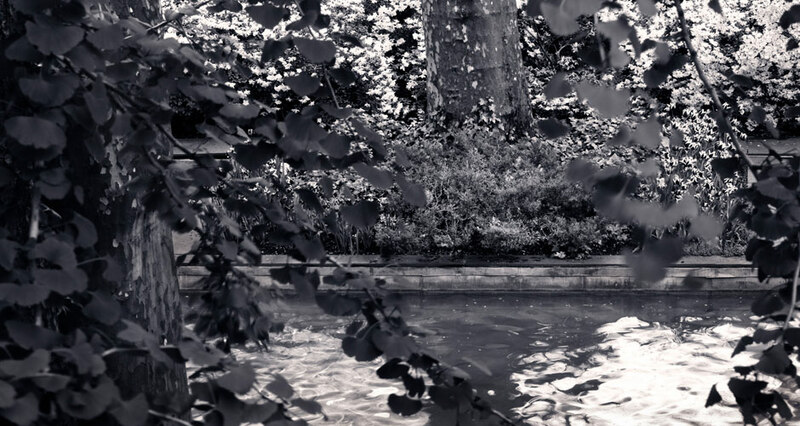 “The Poetry of Passages,” landscape architecture, http://www.asla.org/lamag/lam04/June/feature2.html, (accessed October 28, 2013). Kiley, Dan and Jane Amidon. 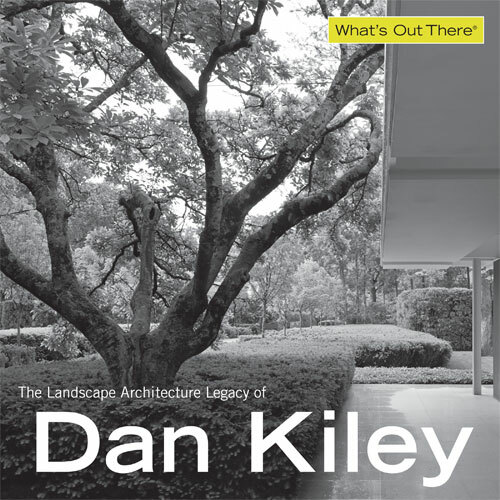 Dan Kiley: The Complete Works of America’s Master Landscape Architect (Boston, New York, London: Little, Brown and Company, 1999), 32-35. 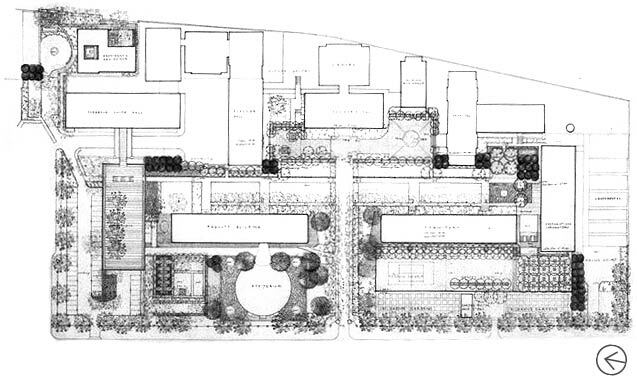 “Landscape Design: Works of Dan Kiley.” Process: Architecture 33. (Tokyo: Japan, Process Architecture Publishing Co., 1982), 48-51. The Cultural Landscape Foundation. 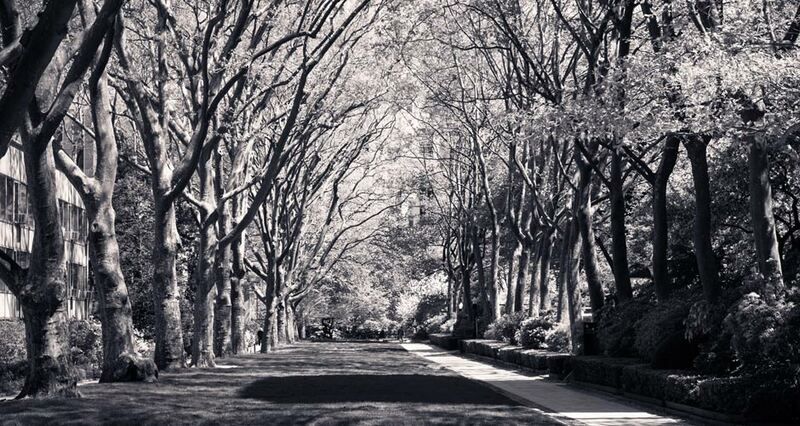 “What’s Out There: Rockefeller University,” http://tclf.org/landscapes/rockefeller-university. Dimmitt, a native of Florida, earned his BA from Eckerd College in St. Petersburg, FL. He studied printmaking in London and Florence and photography in New York and Santa Fe. His black and white photographs can be seen at the Museum of Fine Arts Houston, the Florida Museum of Photographic Arts, Eckerd College, and in many public and private collections. Since 2001, Dimmitt has taught at the International Center of Photography in New York City and in 2013 at The Bascom Art Center in Highlands, North Carolina.